Public homage for the director will be held from 10.00 am and his last rites will be performed at 5.00 pm on Tuesday. The director had been critically ill for the past few days and was undergoing treatment at Apollo Hospital in Chennai but was taken home on Monday night. The director was 79. The news of his demise was shared by his son John Mahendran, also a director. Born in 1939, Mahendran began writing stories for filmmakers way back in 1966. The film Naam Moovar by director Jambulingam starring Jaishankar, Ravichandran and Nagesh was based on Mahendran’s story and this was his very first attempt in cinema. His other notable stories include the female-centric Panakkara Pillai starring Jayalalithaa in the lead and Sivaji’s acclaimed Thanga Pathakkam. The director, however, also described his entry into cinema as forced. “It is my anger towards Tamil films that motivated me to make films that are real, where people smiled and spoke normally. I made films for pleasure and not for commercial success,” he was quoted as saying. 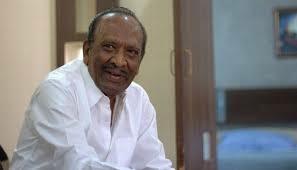 Mahendran made his directorial debut with Mullum Malarum, a critically acclaimed drama starring Rajinikanth, Sarath Babu, Fatafat Jayalaxmi and Shoba, in 1978. The film was a turning point in Rajinikanth’s career, and the director is credited with moulding the Superstar as we know him today. “I would not have made the film if Rajinikanth had not been in it. I had a producer who never turned up on the sets; but I had Rajinikanth, Ilaiyaraaja for the background score and Balu Mahendra for the camera. Naturally, the film was a success,” he once said in an interview. In 2018, when the director was awarded the Lifetime Achievement Award at News 18’s Magudam Awards by DMK leader Stalin, he dedicated it to his “super friend Rajini”, giving us a glimpse of their relationship. Some of his other notable works with Rajini include Kaali and Johnny. He had also written the story and dialogues for Rajini-Kamal’s milestone film Aadu Puli Attam in 1977. His Nenjathai Killadhe starring Suhasini, Sarath Babu, Mohan and Pratap K Pothen ran for a year and received the National Award for Best Regional Film in 1981. The director had said that the story took shape in a flash when he saw a woman jogging from his hotel window. “Her concern was just fitness. Would it be the same once she gets married? I wondered. That is how the screenplay took shape,” he had said. Sasanam in 2006 was his last film as a director. Cinemavum Naanum, an autobiography by the filmmaker was published in 2013. In recent times, the director has appeared in a few notable films playing memorable roles. Mahendran played the villain in Vijay’s Theri, a role that fetched him the Best Villain award at IIFA Utsavam in 2017. In Balaji Tharaneetharan’s Seethakaathi, even his brief appearance as the high court judge was not missed by his fans. The director played a small but an important role in Rajinikanth’s Petta where he was seen breathing life to a complex character – an influential, caste-obsessed man who is willing to let go of his caste pride for his daughter’s happiness. His other film appearances include Kamaraj, Nimir, Mr Chandramouli and Boomerang (his most recent). Several renowned filmmakers like Mani Ratnam and Shankar have been inspired by Mahendran’s filmmaking style. Before the release of Rajinikanth’s Kabali, director Pa Ranjith, in an interview, had said that his Kabali was closest to Mahendran’s Kali.